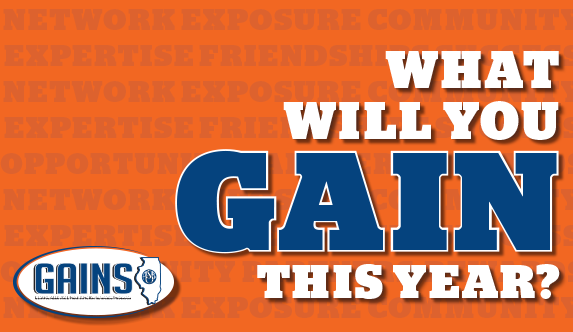 Up your involvement with Illinois ASBO and bring your business to the forefront through GAINS, a Service Associate Participation Rewards Program that tracks involvement in Illinois ASBO through a tiered point system… and rewards Service Associate members with opportunities for more exposure. It doesn’t matter if you’re a company of two people or 2,000. Involvement is tracked on an individual basis, so anyone can make it on the Leaderboard and qualify for the highest level of awards. Companies with multiple Illinois ASBO members should think ahead about which individual you’ll use to register for Conference booths and other events to maximize your earning potential. The current Leader Board is now available! Find your name and check your points to see how close you are to qualifying for great rewards at the 2019 Annual Conference. Tracking will be in-house by Illinois ASBO staff. However, you are ultimately responsible to keep track of your own participation and double check to make sure the points posted match your participation. Points are tallied quarterly and posted on the Leader board; new activity will not immediately be reflected. If you have a question about your points, you can contact Nicole Lee at (815) 753-9305. Three Levels of Involvement. Three Coveted Rewards. Your total points each year (July 1 - June 30) will qualify you for rewards at Annual Conference the following year. Rewards build on each other as your reach new levels. Priority registration to Annual Conference. GAINS winners will have a window to choose their booth space before registration opens to any other Service Associates. $50 upgrade of booth space at Annual Conference (in addition to priority registration). To earn GAINS points, you simply have to participate in Illinois ASBO programs, events and committees! How involved you get is up to how much exposure you want in front of school district members. For example, participation as a speaker or committee member establishes you as a resource for school districts while earning you points. Points are earned and tracked based on individual participation, NOT on a company basis. Therefore, companies with multiple members should strategically choose which person to make points-related purchases (see below) to earn maximum points toward a reward. 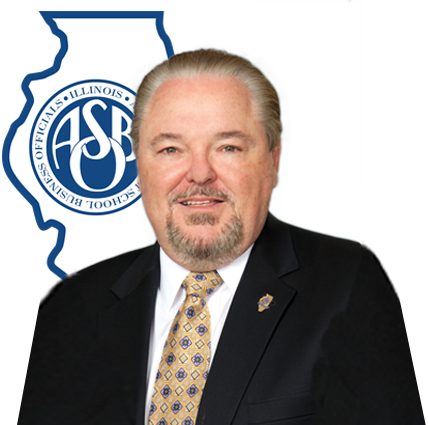 Illinois ASBO reserves the right to change Exhibit Hall layout year to year. Earned prizes cannot be transferred or redeemed for cash or adjustments on accounts. Tracking of points begins each year on July 1 and will be tracked through June 30 for awards redeemable at the following Annual Conference. (For example, points earned in July 2014 through June 2015 will bring rewards at the 2016 Annual Conference.) Points do not rollover; each July 1 members will begin again at zero points. Earn points for Exhibiting multiple consecutive years at Annual Conference. If you skip a year, start again at zero. You must request to join and be approved by the Chair. Attending a PDC meeting or joining a group on the peer2peer network does not automatically add you as a PDC member within our records. On a periodic basis, PDC chairs are asked to review their lists to make sure they are up-to-date and everyone listed is an active participant. *These points will automatically be designated to the person within an organization that pays for the booth. Please inform Nicole Lee at (815) 753-9305 if you want to designate these points to someone else within your organization. Annual Conference-related points will be added to your total at the end of June. Other GAINS points are non-transferable. ** Or 25 points per paid golf registration. 100 points max for golf.